Love will endure - if I can let you go. Cathy Mere is hosting POETRY FRIDAY today. Head over there for lots more great poetry. Did you know the word thesaurus actually means rich treasure? I've been thinking a lot that treasure chest this fall. Academic vocabulary. The power of words. And how to expose kids to words. Maybe most importantly, how to help kids fall in love with words. 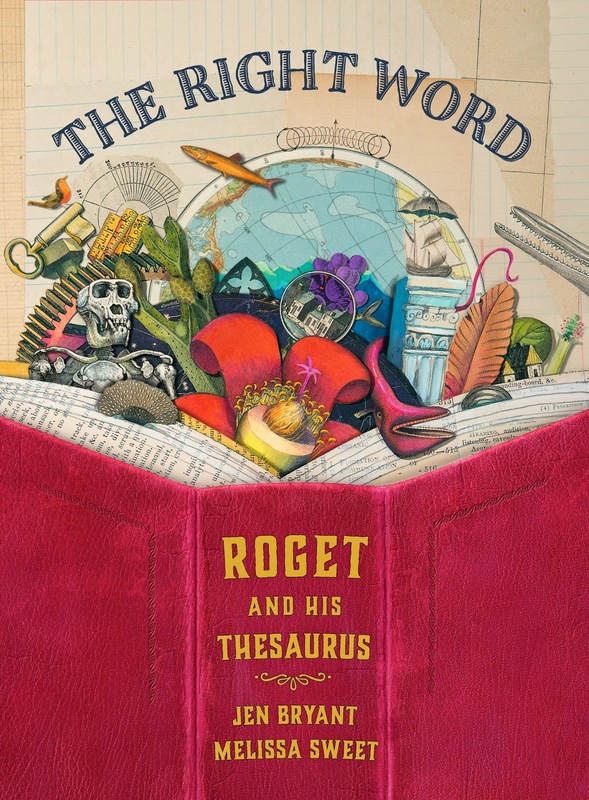 In their newest collaboration, THE RIGHT WORD: ROGET AND HIS THESAURUS, Jen Bryant and Melissa Sweet explore the life of one of the world's greatest word lovers, Dr. Peter Mark Roget, creator of Roget's thesaurus. Roget started making lists of words when he was eight years old and just never stopped. His original thesaurus was published in 1852 and now 170 years later, people are still drawing on that original work. Roget's lists provided the inspiration for Melissa Sweet's collage illustrations; in fact, in her end note, she explains that she decided how she would format the illustrations when she held a copy of the original 1805 thesaurus and saw how he had organized his notes. Each illustration contains similar lists of words. I could see these lists providing some young lovers of words with inspiration to create their own "treasure chest" lists or notebooks. 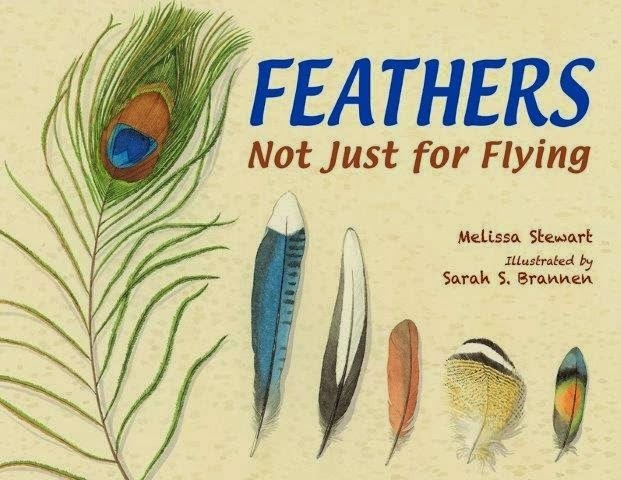 Don't miss two interviews with Melissa Sweet. Colby Sharp's 5-4-3-2-1 Interview here. I have had a lot of shifts in my "teacher brain" the last few years. Definitely one of the biggest ones has to do with the teaching of writing. And more specifically with regard to the role of art in the teaching of writing. Oh, I've regularly let kids draw or create to accompany their writing. With the little ones, the drawing came before they wrote. I watched and listened as they told their stories through their drawings, sometimes to nearby friends, other times to themselves, then put their pencil to paper to write words. I knew that the oral rehearsal done during drawing was hugely important to the actual writing of words. I told other teachers to let kids draw before they wrote. With older kids, however, I thought differently. Oh, they did art too, but the art was dessert. They need to write first, then they could draw or create. In the last couple of years, though, I have rethought that practice. I've let kids create visually- make a drawing or painting, create a pamphlet or poster or powerpoint, and then write. And I've discovered that the writing has gotten much better. I really think it's because, just like their younger peers, they need the oral rehearsal. 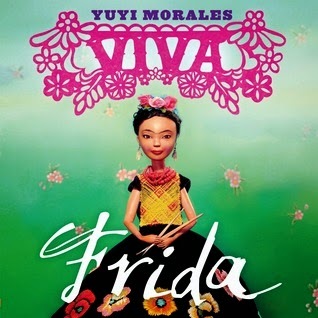 That's why I was delighted to find Yuyi Morales' picture book, VIVA FRIDA, about Mexican painter, Frida Kahlo. Aside from an extensive author's note at the end of the book, the text in this book tells very little about the artist's life. The gorgeous part computer, part photography, part painting, collage illustrations, however, tell a great deal. 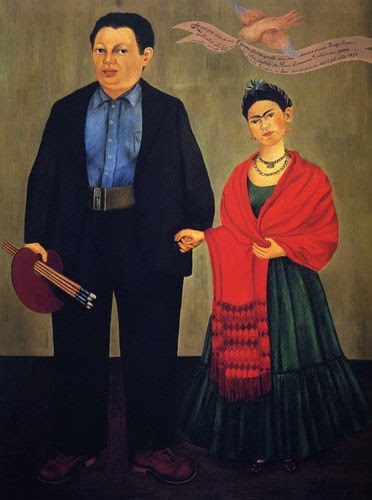 The reader who looks closely will learn about Kahlo's unibrow, her love for bright colors, her dog Xolot and her pet monkey Fulang-Chang, her relationship with husband Diego Rivera, and also much about her work as an artist. 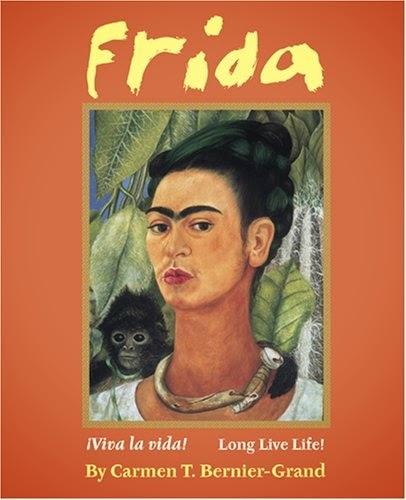 I can see myself, then, using Kahlo's book as a mentor text for students writing biographies. They could do research, then choose a few of the most interesting or important facts about that person and embed them within collages or illustrations. The act of creating could serve as an oral rehearsal for the act of writing. And unleash a whole other part of kids' brains. Which it doesn't seem like we do nearly enough of these days. Read a New York Times book review here. 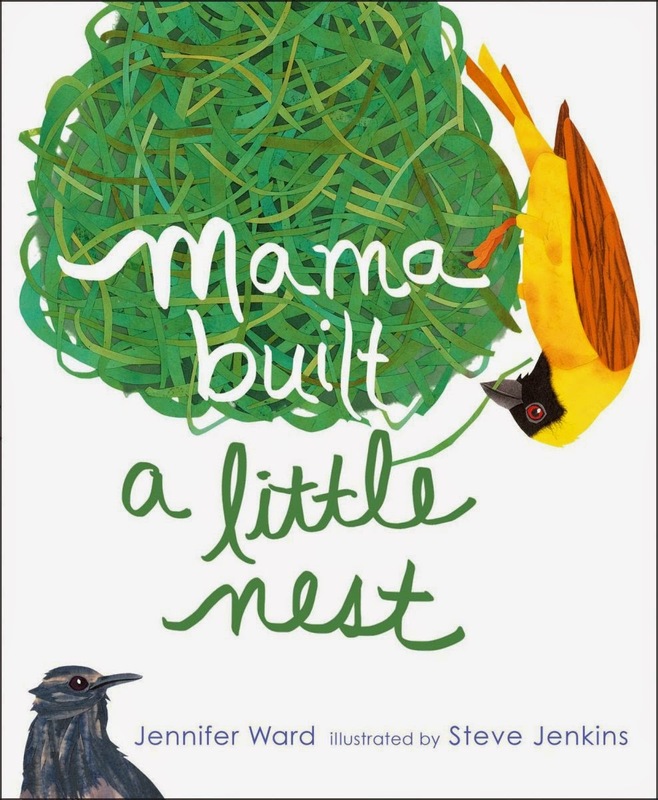 Read a Kirkus review here. There are so many ways to tell a story. In FRIDA, Carmen T. Bernier-Grand weaves together a series of biographical poems to capture the life of Mexican-born artist, Frida Kahlo. 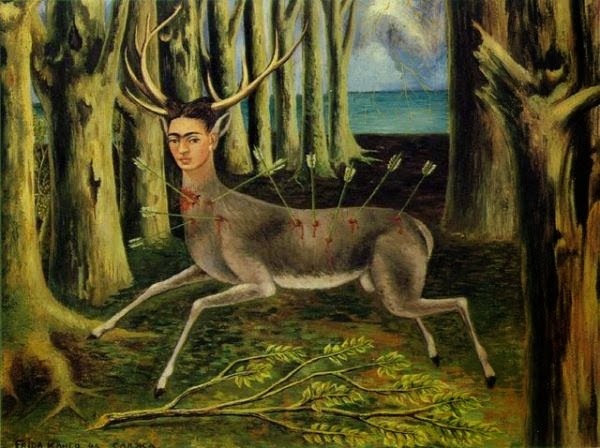 Kahlo had a difficult life- a childhood bout of polio, a crippling bus accident at age 18, marriage, then divorce, then remarriage to Diego Rivera, four miscarriages, spinal surgery that left her wheelchair bound, and then the amputation of her leg-- and yet she lived with strength, pride, and even joy. ¡Viva la vida/ (Long live life!) was her personal battle cry. 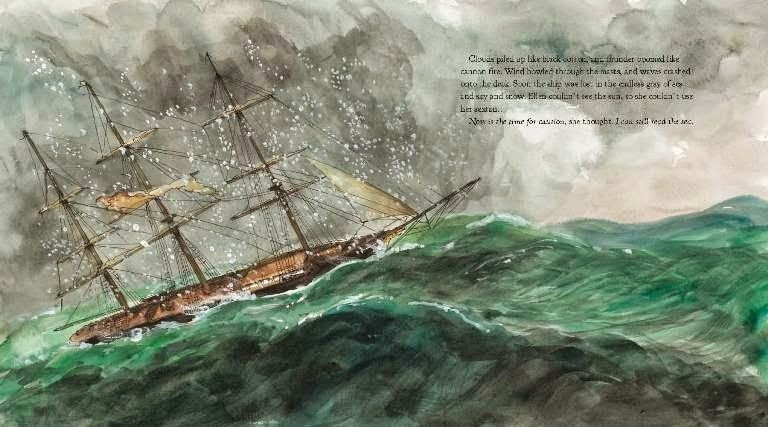 The book includes 26 poems, illustrated with Kahlo's artwork. Back matter consists of a biography, a timeline, and a bibliography. 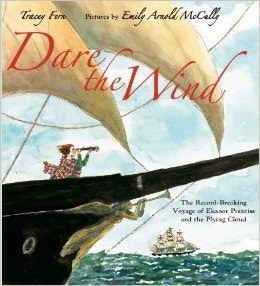 A terrific mentor text for middle or high school students attempting to write biographies or autobiographies. Is the right leg as fat as the other? I have lost three children. to remind Diego how his shots have made me bleed. Shooting pains in my spine. But I am happy to be alive. Michelle Barnes is hosting Poetry Friday today. 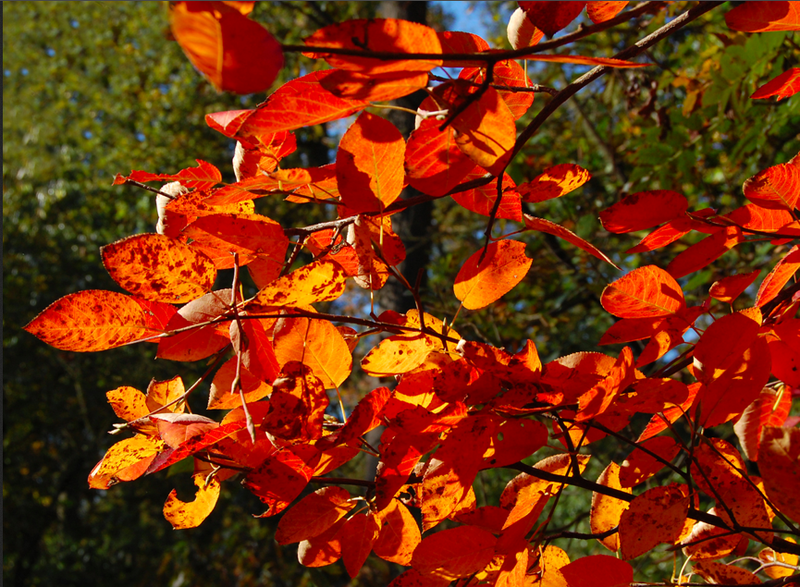 Head over there for a Halloween poetry challenge! If more teachers included the story part of history, I'm pretty sure a lot more kids would be interested in history. That's definitely true with tonight's CYBILS read, HE HAS SHOT THE PRESIDENT by Don Brown. 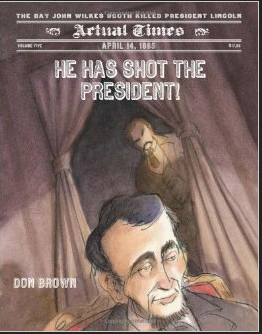 Brown tells the story not only of the day President Lincoln was shot and the subsequent manhunt for John Wilkes Booth. It's the richness of the story that captures the reader's attention. I know kids all the way through high school are going to love the story of how Lincoln's death was one of three planned assassinations for that evening. They are going to be fascinated by how four soldiers carried Lincoln's long and almost lifeless body across the street to Peterson's Rooming House, then laid it diagonally across a bed. They will love reading about how John Wilkes Booth was locked inside a tobacco barn, which was then set on fire after he refused to come out. And how people filed past Lincoln's coffin in New York City for 25 hours straight, and yet only a small portion of the half million people waiting actually got to see the body. Or of how city leaders tried to stop African Americans from participating in the funeral procession back to the train station, and the Secretary of State had to issue a decree. So many rich stories. So much history. I love that this book is one in a series of five (so far). I hope there will be lots more!